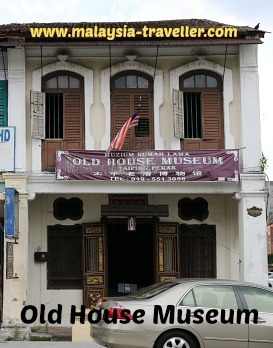 Old House Museum is housed in a beautifully preserved shophouse located on Taiping’s Market Square. 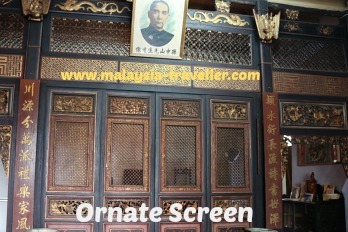 The building was constructed around 1880 by a Taiping philanthropist and businessman called Mr. Lim Zi You. He ran an alcohol business and traded in charcoal stoves. His descendants diversified into property and have since migrated overseas. 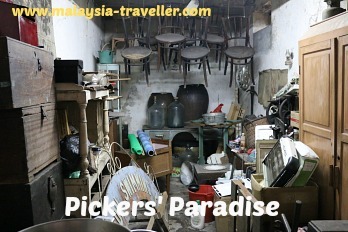 Rather than leave their shophouse unoccupied the family decided to convert it into a heritage museum and they entrusted this task to Mr. Tan Kok Siew who also owns an antique shop on Jalan Taming Sari called Kapitan Antiques House. Mr. Tan has cleverly used the opportunity to display some of his sizeable stock of antiquities and the good thing about this museum is that visitors are able to purchase many of the items on display. 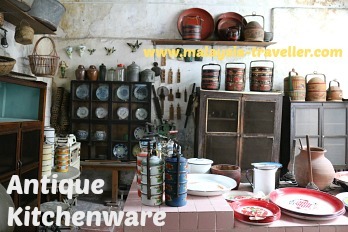 The museum has a narrow frontage but, typical of traditional shophouses, it extends a long way back and has interior courtyards and air wells and multiple rooms over three levels, all stuffed with interesting items. Among the treasures that can be found here I noted old bicycles, a gramophone player, antique furniture, old photos and pictures, lamps, a Gents of Leicester industrial clock, a planter’s chair, tiffin boxes, Chinese porcelain, an intricately carved Chinese bed, vintage metal toy cars, a Mills slot machine, a collection of radios and much, much more. If you like watching the TV programme ‘The Pickers’ you will love this place and much of it is available to buy. The Museum is open from 10am to 6pm, Mondays to Fridays and from 9.30am to 6pm on Saturday and Sunday. Mr. Tan charges an entrance price which I think is fair enough just to see the building itself. No doubt you could negotiate a refund if you purchase any items. Kids RM 3. Free for kids below 6 years old. 2A, Market Square, 34000 Taiping, Perak Darul Ridzuan. The exact location is marked on the map on my Taiping Heritage Trail page. There is so much to see in Taiping. 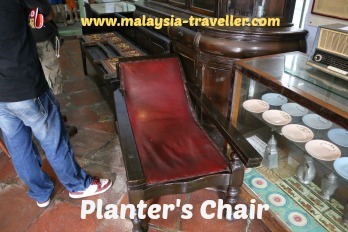 See my Taiping Heritage Trail for full details. To see a range of Taiping hotel accommodation at discounted rates, click on the Agoda advertisement below.